Marc Driscoll is both a prominent and controversial religious leader in the United States. 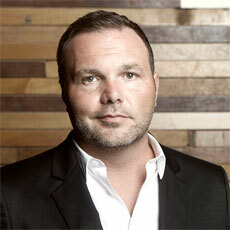 A founder of the Mars Hill Church in Seattle, now one of the most popular churches in the country, Driscoll preaches to a network of churches and has 15 published books to his name. He is also a regular writer for the Seattle Times, Washington Post and the Fox News website. However, on November 21st, Driscoll became the focus of some unwanted attention. Radio host Janet Mefferd accused Driscoll of plagiarism on a show he was participating in. At issue was a recent book Driscoll had published entitled “A Call to Resurgence: Will Christianity Have a Funeral or a Future?” Mefferd claimed that the book reproduced ideas from an earlier book by Peter Jones without attribution. Though Mefferd has claimed she never intended for the interview to become hostile, tempers did flare and Driscoll ended up hanging up on Mefferd to end the interview. After the interview, others began to comb through Driscoll’s history and Mefferd also published evidence of plagiarism, this time involving whole paragraphs, in Driscoll’s earlier book “Trial: 8 Witnesses from 1 & 2 Peter”. After that, a woman claiming to be a part-time topic producer for Mefferd’s show came forward and said that she resigned over the incident, saying that “Mark Driscoll clearly plagiarized” but that the show was pressured by the “evangelical industrial complex” to back away from the story. As news spread of the alleged coverup, pressure mounted on the church and, earlier this week, the Mars Hill Church admitted that there were “citation errors” in Driscoll’s work. However, the church also said that the chapter involved was attributed to a research assistant and that the work was a collaboration of a group of people. The publisher of the book, InterVarsity Press, also came forward and said that there were passages in the book that appeared “without quotation or attribution”. While the details of the scandal are still unfolding, what is already clear is just how how volatile the mix of religion, politics and plagiarism really is. Even before the plagiarism scandal, Driscoll was already a lightning rod for controversy, due to his staunch conservative views. Though the allegations were initially launched by those who were friendly to his views, it was his political and ideological opponents who kept the focus on him as the scandal unfolded. Unfortunately, strong passions such as these make it almost impossible to have a rational and realistic analysis of the alleged infractions. With emotions so high, the tendency to either underplay or exaggerate the issue is very strong. Plagiarism is, fundamentally, an intellectual offense that requires an intellectual evaluation. Such an evaluation is nearly impossible with such heavily inflamed passions. But what has likely made things worse for Driscoll is at least the appearance of an attempted cover up. Whether it is true or not, it gave his opponents something to seize upon and a reason to publicize the story all the more. Online this type of unwanted attention is often called the Streisand Effect and is well-documented in countless cases of people trying to make something disappear only to have it receive more coverage than ever. As for Driscoll’s alleged misdeeds, only the comparisons for “Trial” remain online and, in that case, it is pretty clear that whole chapters of the book were copied near-verbatim without attribution. While certainly an issue, it’s only a few passages out of what Driscoll himself says is thousands of pages of content produced every year. While Driscoll, who has stayed silent through all of this, should apologize for the infraction and reevaluate his research and writing process to ensure it doesn’t happen again, there was never a need for it to become a major ordeal, provided that it is the only serious problem. Hopefully, Driscoll (and others) will learn from this that plagiarism scandals need to be approached with honesty and integrity, not attempts to stonewall and deflect. Otherwise, the scandal simply risks growing larger than it needs to be and causing more headaches. This is doubly true for anyone who happens to be a controversial or divisive figure. In that regard, Rand Paul is another excellent example of how a plagiarism scandal, if handled poorly, can quickly spiral out of control. Jonathan Bailey is the author of Plagiarism Today and CopyByte. His opinions are his own.